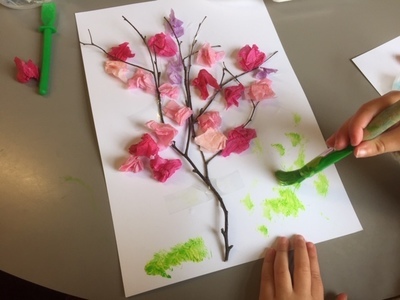 A lovely spring craft for toddlers to create. Tape down the stick to the A4 card. Scrunch up some tissue paper into small balls. Dab on some glue and then stick down the tissue paper as the blossom.